John Lobb brown leather Aintree oxfords with perforated vamps. Stacked heels and lace-tie closures at uppers. 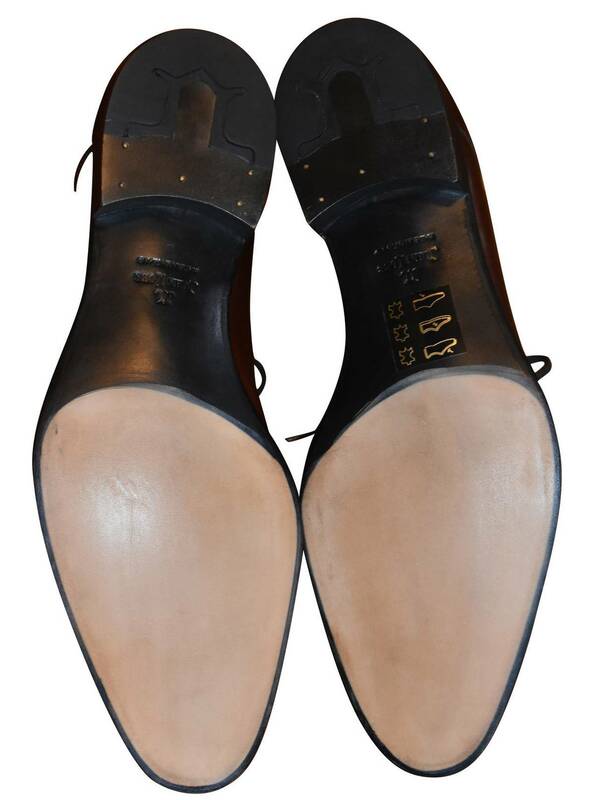 Leather soles. 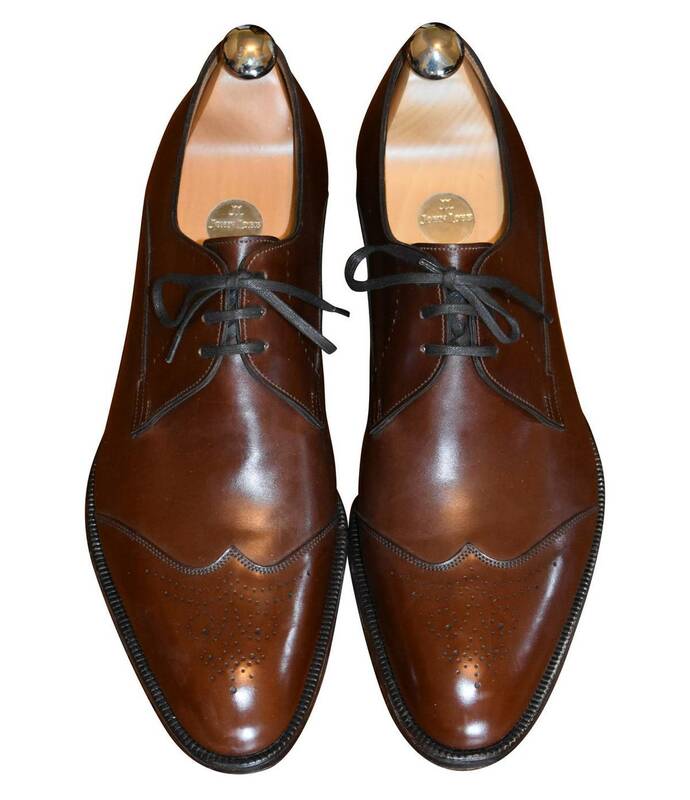 Includes John Lobb shoe trees.